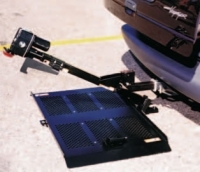 Hitch-mounted carriers and lifts fit onto your vehicle's trailer hitch so you can carry your mobility scooter or power wheelchair with you when traveling. 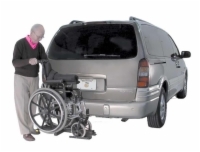 For additional assistance in choosing a carrier which is compatible with both your mobility device and your automobile, please call our mobility experts at 1 (800) 910-0935. 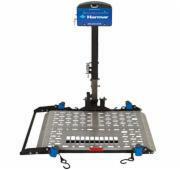 This Harmar lift is the perfect choice if you don't want to hassle with loading your travel size scooter. 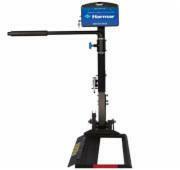 We can't advertise the best part - its low price - so give us a call and we'll save you even more money! 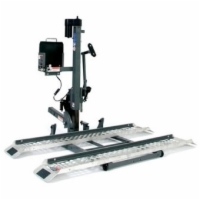 This lift is equipped with built-in straps that make securing your compact power wheelchair a breeze. Give us a call today and find out more. 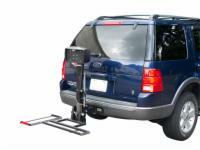 A versatile wheelchair lift that can fit almost any vehicle and trailer hitch class. 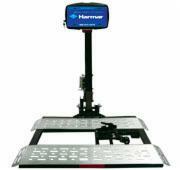 Harmar's most powerful scooter lift has an automatic hold down arm and a platform that automatically folds up when not in use. 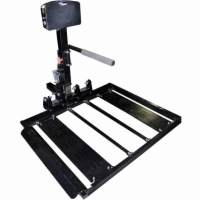 This is a serious lift for serious scooter users. The ultimate in lightweight design! 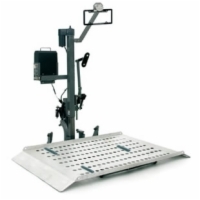 This lift features an open platform that allows for unobstructed visibility. 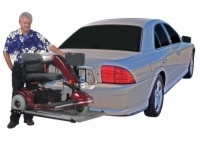 Owner's of scooters and power chairs will want to pay special attention to this lift because it's equally capable of transporting both. And just pick up the phone to get a special price! 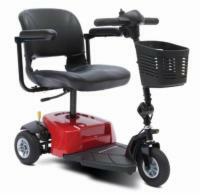 Lifts power chairs or scooters without requiring any disassembly. 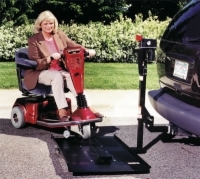 Transporting large power chairs shouldn't be a cause for worry - and it won't be if you are using AmeriGlide's Auto Power Chair Lift. 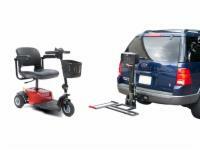 It's THE complete lift for your power chair. 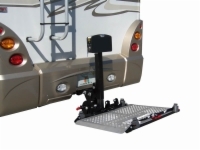 A much longer lift mechanism means that this lift is perfect on motor homes, SUVs, or other tall vehicles. 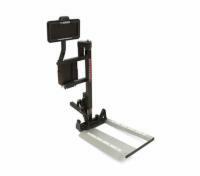 Instead of quick release tensioners, the Deluxe has a hold down arm that automatically engages your chair's seat as you use the lift. 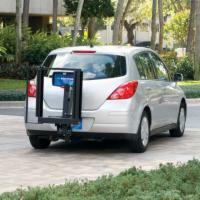 With the Dock N Lock hitch mounted vechile lift, your power chair will be automatically secured in place. 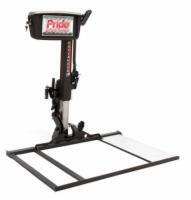 The Pride Outlander LP is an exterior vehicle lift that features a low profile that provides maximum visibility while driving. 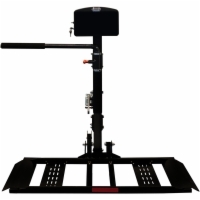 The Heavy Duty Universal Scooter Lift is a versatile model that will do all the work of loading, lifting, and securing your scooter for you! 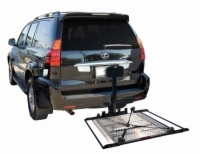 Compatible with RVs due to its RV hitch adapter, extended lift range, and reinforced frame. 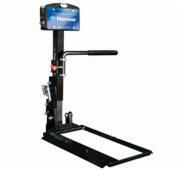 This versatile lift is compatible with a wide range of vehicles and power chairs, comes with an impressive 400 lb. 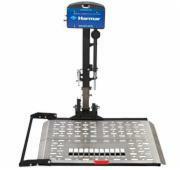 weight capacity, and is incredibly easy to operate. 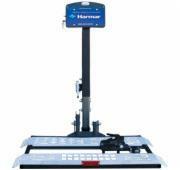 This is Harmar's largest external vehicle lift and, like the regular Fusion Outside Lift, is quite at home lifting both power chairs and mobility scooters. 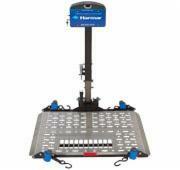 One of the most versatile models on the market! 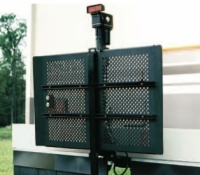 This lift can accommodate both mobility scooters and power wheelchairs. 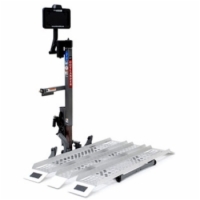 Perfect for larger power chairs, the XL Lock N Dock features a spacious platform that can be easily adjusted to accommodate your chair. 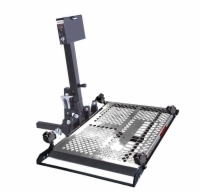 Combines a long lift mechanism and a larger tray for the ultimate versatility when it comes to lifting and transporting scooters and power wheelchairs.